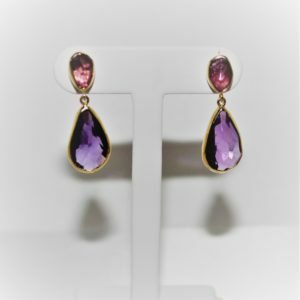 Sterling Silver and 18k Yellow Gold dangle earrings with rough cut Pink Tourmaline and Amethyst earrings. 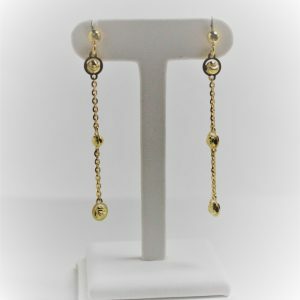 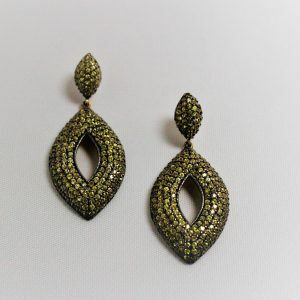 Sterling Silver and 18K Yellow Gold rectangular shaped drop earrings. 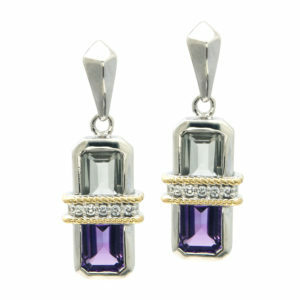 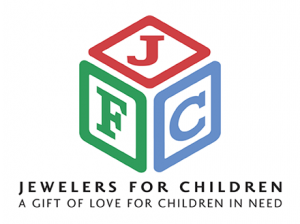 It contains amethyst and green amethyst accented with diamonds. 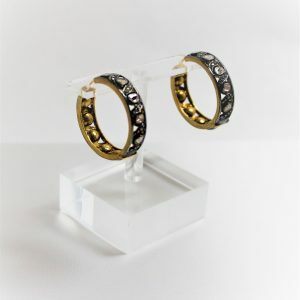 Edgy sterling silver 1.25″ diameter hoops. 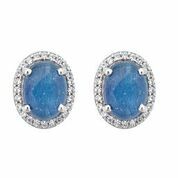 Sterling Silver Aquila stud earrings by Cristina Sabatini featuring an oval shaped blue kyanite with a halo of faceted white cubic zirconium. 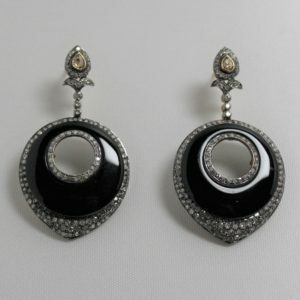 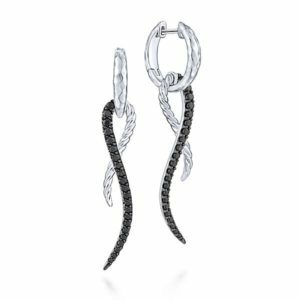 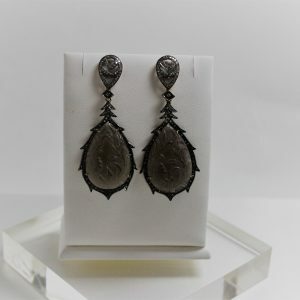 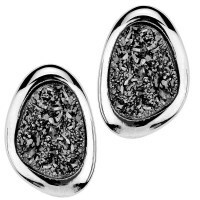 Sterling Silver drop earrings accented with 0.81ctw of black spinels by Gabriel and Co.
Sterling Silver druzy quartz button style earrings. 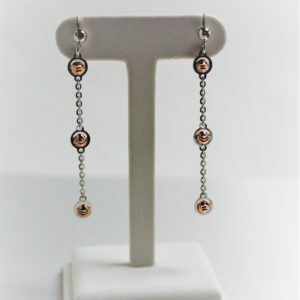 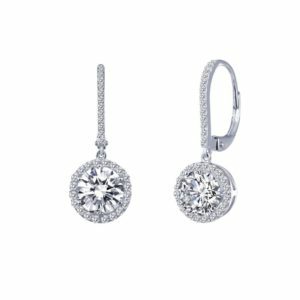 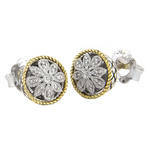 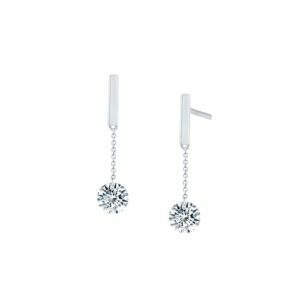 Sterling Silver 1″ classic round drop earrings consisting of round diamond simulants.